Of course, also in Barcelona, the well-known fast-food restaurants are popular. 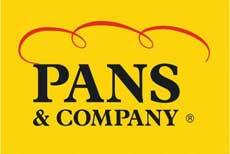 Here we have restaurant chains, which are more widespread in Spain and everywhere in Barcelona to be found. The Hard Rock Cafes are a cult. 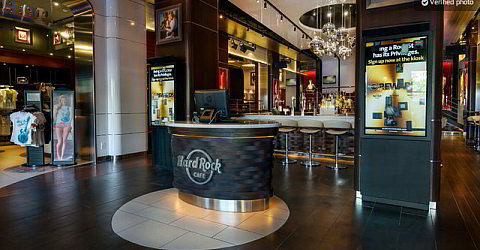 Some see it as an award for a city, to have a Hard Rock Cafe. The cafe in Barcelona is located at the Plaça Catalunya. Local baguettes at almost every corner in Barcelona. Ideal for a snack. Address: Multiple in Barcelona. 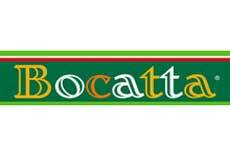 Also on almost every corner you can find the restaurants of the Spanish chain Bocatta. The restaurants offer sandwiches, salads, cake and refreshments. In more than 15 restaurants of FrescCo chain in Barcelona you can eat Mediterranean food, pasta dishes, pizzas and salads. Also desserts, soups and drinks and ice cream. All this for € 11.95, including drinks and buffet all you can eat. You can take up to a kilo of fruit. Surely you can not expect gourmet food, but if you are really hungry, don't want to spent much money and want to have varied meals value, you are right here. Pay once and get second helping from the buffet as many times until you are satisfied. 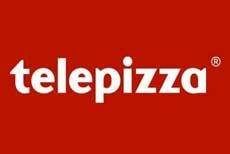 Telepizza is a pizza service, which you can find in all Spain. If you do not want to cook in an apartment or want to go out, the supply of tele pizza comes to your home as well.